Greg Bird will be looking to bounce back from a season-ending injury, as he heads into 2017 with high hopes as the potential starting first baseman. Bird had some clutch hits in a memorable 2015 season before being beaten by the Houston Astros in the AL Wild Card game. Look for Bird to build off of that season and turn into one of the game’s better young players. 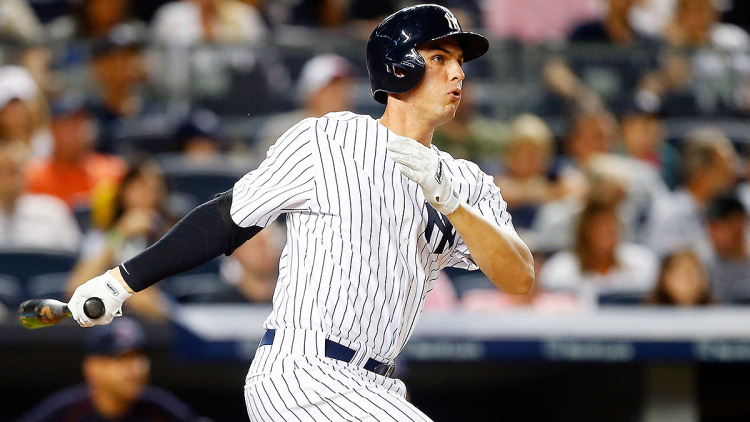 Greg Bird’s 2015 rookie season was seen as a success to many and Yankee fans were intrigued to see what he could bring to the table in 2016, as Mark Teixeira’s play was deteriorating. Well, shoulder surgery prior to the 2016 season knocked him out for the whole 162 games. It was a disappointing setback to his young career, as he will now be entering his second season in the majors. Bird’s presence was greatly missed, as Teixeira was atrocious all season and one might wonder how the team would have fared with Bird instead of Teixeira. With Teixeira now retired, the first base job is surely Bird’s to lose. Recently signed Chris Carter will likely take some at-bats from Bird, but his .222 career average will likely not put him ahead of Bird in the starting lineup, especially against righties. The Yanks may platoon the two and start Carter against lefties, but Bird is definitely capable of being an everyday first baseman. Bird’s power, lefty bat and stellar defense will be crucial to the Yanks making a playoff run. He was an integral part of the 2015 season in which the Bombers made it to the playoffs. Bird hit for 11 homers in just 167 at-bats in 2015 and that was while sharing time with Teixeira. Although a small sample size, that 2015 season gave a glimpse of his bright future. Along with Gary Sanchez, Aaron Judge, and others, Bird is a central piece of the Baby Bombers and the future of this team. His return, along with the potential emergence of the aforementioned youngsters and veteran leadership of Matt Holliday and others, should be an improvement from last year’s team and potentially have a chance at the playoffs. Bird’s consistency will be a key factor in deciding how the 2017 New York Yankees fare.